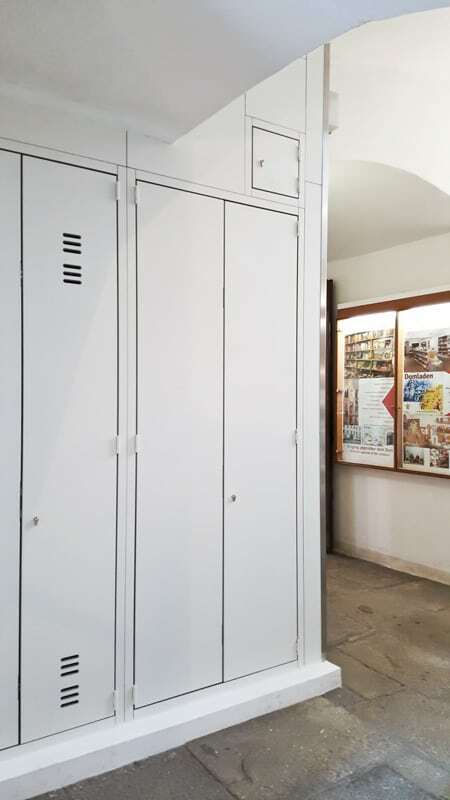 During the course of renewal work on electrical distribution boards, the fire protection in Passau‘s cathedral was also upgraded. Three large electrical distribution boards were installed at right-angles in a niche. Replacement of these distribution boards also meant that the fire protection had to be adjusted to current regulations. An escape route, which runs directly in front of the distribution boards, should also be able to be used safely in case of fire. 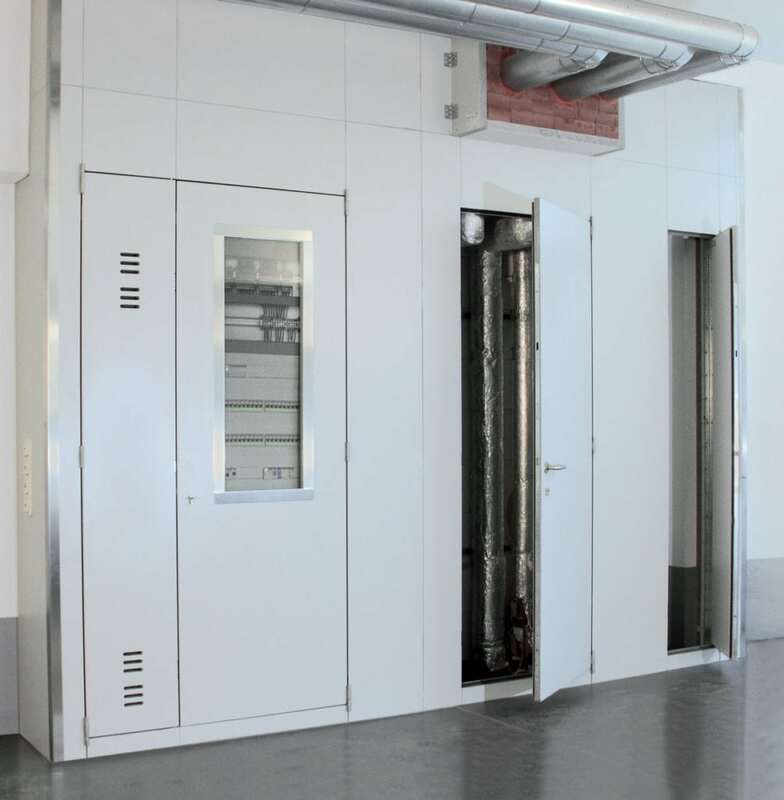 In addition to this requirement for fire load insulation, there were further requirements: the distribution boards were to be freely accessible and ventilated, the escape route width should not be reduced and the overall solution had to visually integrate into the existing building. Our system partner WEWORE undertook the design and execution. A particular challenge was the dimensional optimisation with millimetre precision in order to satisfy the structural requirements. Last but not least, the stainless steel strips were coated white to optimise the design. Overall a great deal of effort, which was rewarded by a perfect result and satisfied customers. 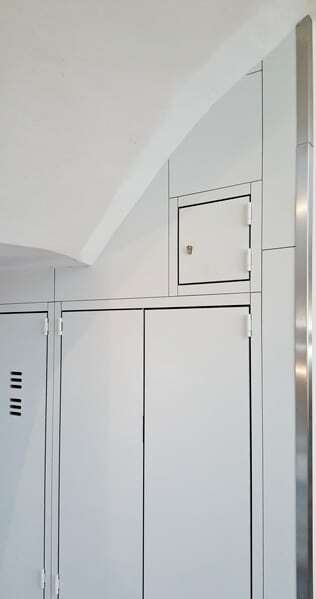 A wall system with integrated inspection openings was installed, the surface was ready-coated to the customer’s wishes. Fire resistance 90 minutes, hot and cold smoke-tight. 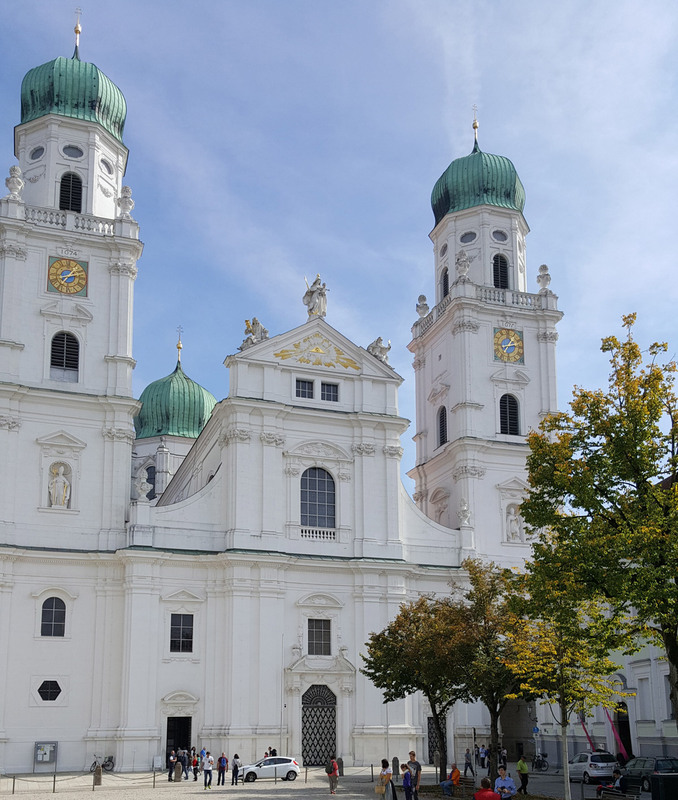 The St. Stephan Cathedral in Passau is a Baroque episcopal church rebuilt from 1668. 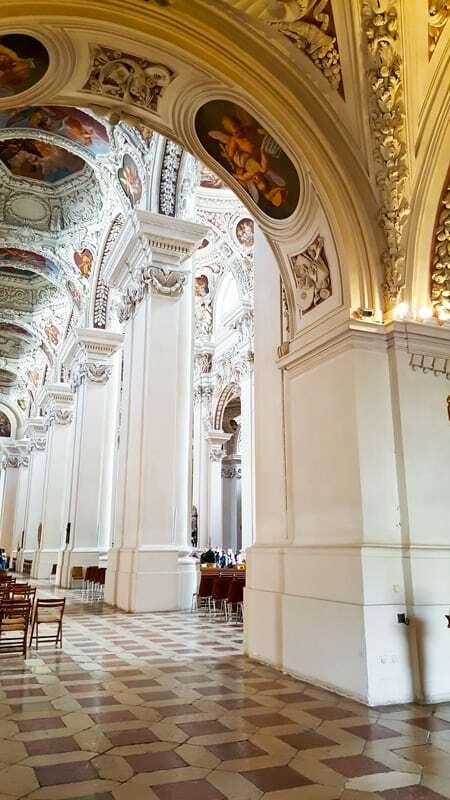 The Passau Dom is one of the largest cathedrals with the largest Baroque church interiors north of the Alps. Important German artists of the time painted the altarpieces of the ten side altars. The present day five organs with a total of 233 registers and 17,974 pipes for the largest cathedral organ in the world. Single-layer, fire-resistant wall system with various surfaces for the formation of interior partitions for room closures, fire areas, etc. The PRIOWALL wall system consists of coated non-flammable wall panels of 42 mm in thickness, which can be easily and neatly constructed, converted and expanded using various joining technologies. 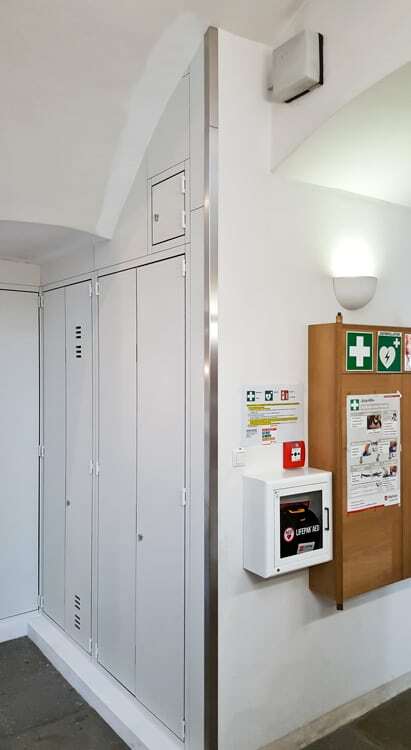 PRIOWALL is a component of the „System 42“ modular fire protection system and is suited for the installation of PRIORIT system components such as fire-protection closures, inspection opening closures, smoke-extraction flaps, fire dampers and bulkheads or ventilation elements.